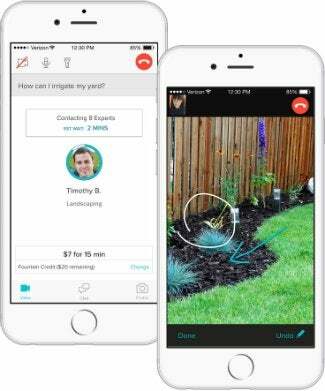 For DIYers with more time and energy than experience and know-how, a brand-new app makes pro consultations easy, virtually instantaneous, and best of all, cheap. Even if you’re a veteran do-it-yourselfer and hip to the many different avenues for project research available on the Internet, you’re never going to vanquish moments of uncertainty. When in doubt, during those situations when you’ve got the momentum but lack the know-how, wouldn’t it be nice to have an expert on your side? The next time you hit a stumbling block halfway through a home improvement or repair job, all you’ve got to do is reach for your smartphone. When you open the free-to-download Fountain app (available for iOS), you are greeted by a screen that asks, “What are you stuck on?” Type in your problem and, if you’d like, include an annotated photo to clarify the issue. From there, the app digs through its index of the nationwide professionals best qualified to lend assistance. These are pre-screened pros, and Fountain has them for every imaginable home-and-garden category, from architecture and interior design to gardening and carpentry. 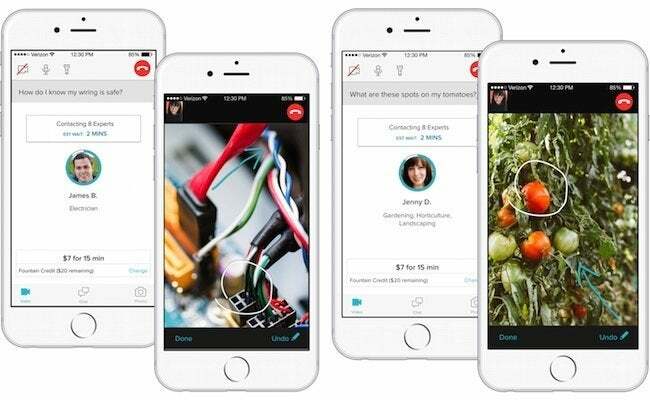 In just 90 seconds, you’ll get automatically connected to a qualified expert for a phone call, video chat, or text messaging session. While the app itself costs nothing, each 15-minute consultation runs a modest $7. That’s a fraction of what it would cost to get a home visit from a plumber or electrician. Besides that savings, we think what’s really exciting here is that, for the first time ever, you can pay a professional, not for actual service, but for advice. Skeptical? Fountain shrewdly anticipated that first-time users of the app might feel trepidatious, so your first consultation is free, with a $10 credit being automatically applied to you account upon download. Think of how many more projects you can tackle at home, now that something like Fountain exists! The only downside might be that you can no longer claim ignorance as an excuse for putting off your to-do list. Download Fountain for iPhone or iPad, free.